Applications are invited from suitably qualified candidates for admission into the School of Nursing and Midwifery, University of Benin Teaching Hospital, Benin City for the 2018/2019 academic session. This is a three (3) year General Nursing Programme leading to the award of Registered Nurse Certificate (RN). 1. Candidates must not be less than 18 years of age. 2. Qualification; five Credit passes obtained in not more than two sittings in WASCE/GCE/NECO) in the following subjects, English Language, Mathematics, Biology, Physics and Chemistry. A separate payment of N200 to Nursing and Midwifery Council Committee Edo State Account No. 2050003858, First Bank of Nigeria. Candidates are to submit four (4) recent coloured passport photographs (taken in the preceding two weeks) while returning the completed application forms. This is an Eighteen (18) months Post Basic Midwifery Programme leading to the award of (RM) Certificate. • Five (5) CREDITS in WASC/SSCE/NECO in English Language, Mathematics, Biology, Chemistry and Physics at not more than two sittings. 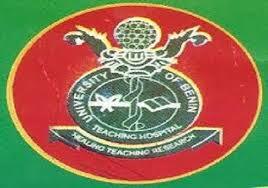 Application forms are obtainable from the offices of the Principal/Head of Department (School of Midwifery) on presentation of evidence of payment of a non-refundable fee of six thousand five hundred naira (N6, 500) only payable to UBTH Account with TSA under the service type: Training – School of Midwifery using REMITA Platform in any Bank in Nigeria. Venue: - School Of Midwifery, UBTH, Benin City.